Are you protected from letterbox crime? 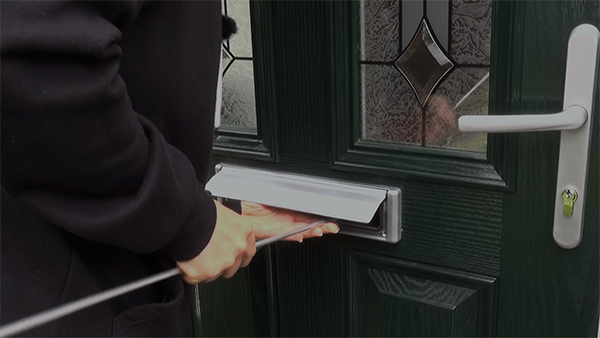 Burglars will use various methods in an attempt to gain entry into your home – and this includes using your letterbox. Your letterbox is a vulnerable point on your door; criminals can use it to peer through for signs of an empty home, ‘fish’ for keys out of your property and post unwanted items through the letterbox. With this said it’s essential to check that your letterbox has added security features to protect your home. Within our range you’ll find Secured by Design and Anti Vandal letterboxes which incorporate outward facing brushes – a feature not found on standard letterboxes. Having brushes on the front of the door acts as a visual deterrent to vandals. As the internal cavity is not easily accessible, it makes it much more difficult to post unwanted items through the letterbox. The outward facing brushes also make it easier to navigate letters through the brushes and stop draughts at the point of entry. 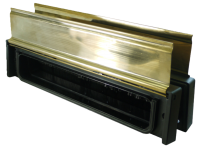 Each letterbox flap can open to 180 degrees and has been tested to withstand thousands of openings without breaking. A weak letter plate can be easily snapped off from the outside, giving criminals an easier opportunity to manipulate the cylinder on the inside of the door. The hidden fittings and blind bolts on the Max6 letterboxes make it extremely difficult for burglars to remove the letterplate from the outside – another security feature.